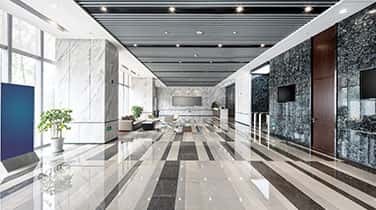 Schedule routine Commercial Marble Cleaning in Boca Raton at your business to ensure your marble floors, walls, countertops, and other surfaces remain brilliant, durable, and functional. 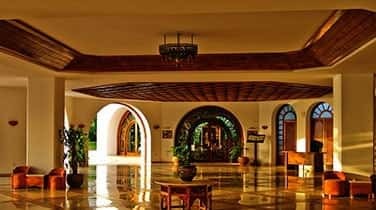 Our team of experienced natural stone care specialists are skilled at restoring the natural shine and luster to marble surfaces both indoors and outdoors. Marble is known for it's inherent beauty and strength, however, it's essential to routinely clean your marble to ensure it lasts longer, retains its value, and stays durable through the years. Foot traffic, harsh cleaning chemicals, and even moisture can cause scuffs, dullness, haze, etching, and other signs of unsightly damage. Our team can arrive fully equipped with high quality tools and modern machinery for expert results, fast. Call today for a FREE consultation to learn more about our full list of services from polishing to sealing and more. 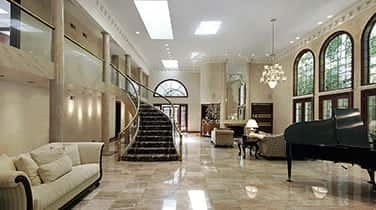 Licensed, bonded, and insured to provide expert commercial marble cleaning in Boca Raton, AAA Marble Care is a family owned and operated business. We can clean your countertops, fountains, showers and tubs, vanities, pool decks, patios, and other surfaces to restore your marble to its original condition. 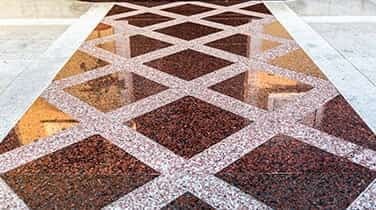 Intensive cleaning is sometimes requires when your marble has been neglected for long, however, we can arrive with stone polishing pads, diamond grinding machinery, specially formulated polishing powders, and an array of precision tools to deliver impressive results with great artistic craftsmanship. In fact, all of our work is fully guaranteed and we will never leave behind nasty lingering odors, mess, or damaged property. Call today for a FREE consultation to learn more about our thorough and complete cleaning and removal or residue, to restore the sheen and brilliance you once appreciated in your commercial marble surfaces.